WHAT’S HAPPENING NEXT AT JEWEL BOX? My Three Angels is a comedy play by Samuel and Bella Spewack. The play is based on the French play La Cuisine Des Anges by Albert Husson. While repairing the roof of shopkeeper Felix Ducotel’s home on Christmas Eve, three convicts overhear that the family is facing several crises. The story relates the convicts’ (Joseph, Jules, and Alfred) efforts to resolve the Ducotels’ problems so that they may have a merry Christmas. Tickets go on sale April 18th, 2019 for $30.00 each. 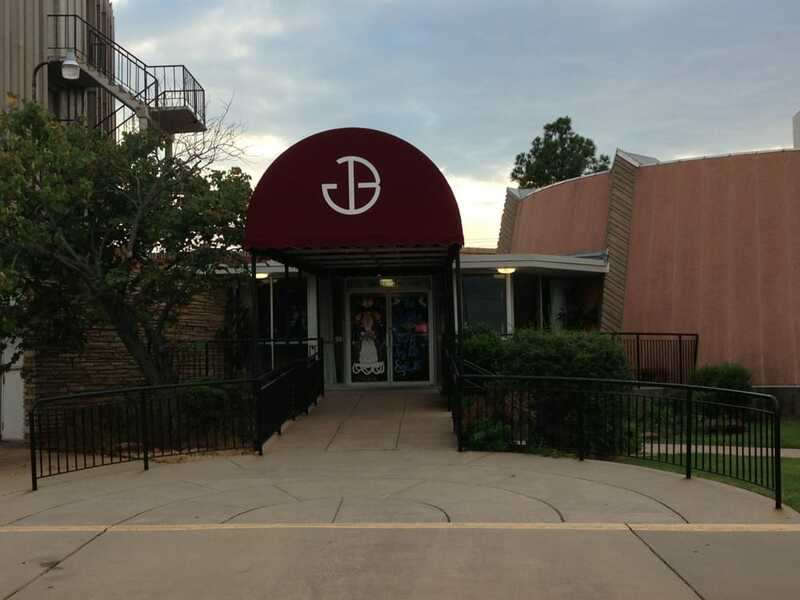 The Gem Awards event will be held in the dining room of First Christian Church of OKC. Go to the box office at the Jewel Box Theatre to purchase tickets. Yes, you can use a credit card. Our box office hours are Tuesday-Friday, 1 pm to 6 pm. WILL JEWEL BOX HAVE A NEW SEASON? YES!! We are excited to announce that the plays for the 62nd season of Jewel Box Theatre have been chosen! The new season will be announced on April 18, 2019! Stay tuned! Now in its 61st season, Jewel Box Theatre continues to serve as an outreach of First Christian Church. Not only is it the oldest continuously operating community theatre in Oklahoma City, but it is also the recent recipient of the 2015-16 OCTA Theatre of the Year Award and a Governor’s Arts Award from the Oklahoma State Arts Council. Jewel Box Theatre has traditionally hosted six productions each year, including both plays and musicals, which play to more than 2,500 season patrons and the general public. For more information about auditions, volunteering, backstage work or any aspect about this prestigious theatre, call our Box Office at (405) 521-1786 Tuesday through Friday afternoons. Click for Jewel Box Gem Awards information.